With their natural curiosity and affinity to learn new skills, children can make some of the best scuba divers. 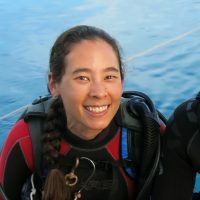 If you need scuba diving lessons for kids information, here’s a quick overview of the programs available to young people and what age kids can learn to scuba dive. 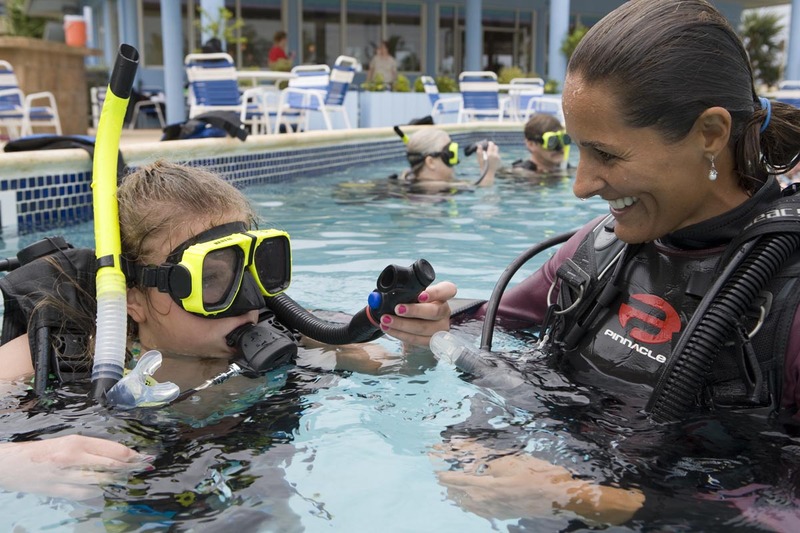 A good way to determine if your child is ready for scuba diving in open water is to enroll them in the Bubblemaker or Seal Team program first. The Bubblemaker program is a one day experience program in a pool or confined water for children eight and older with a max depth of two meters/ six feet. The Seal Team program is a more extensive pool program for kids eight and older that covers basic scuba diving skills in addition to fun activities such as taking underwater photos, practicing buoyancy and learning environmental awareness. 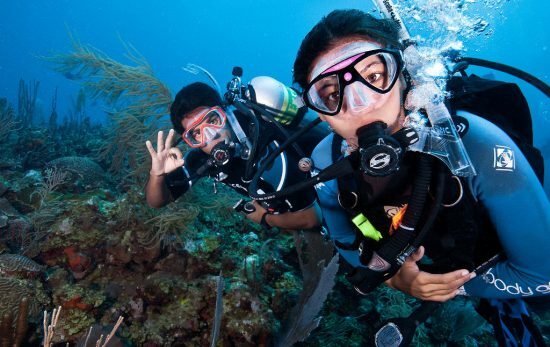 PADI’s Junior Open Water Diver course is similar to the adult certification program and prepares kids to become full-fledged divers when they are of age. To begin the program, students must be at least 10 years old and be able to swim. Students as young as 10 years old can utilize our eLearning program Open Water Diver course online (minimum age requirements may be higher in some locations due to local laws and regulations). To ensure that young divers don’t exceed their limits, the Junior Open Water certification comes with restrictions. Divers 10-11 years old must dive with a PADI Professional or a certified parent or guardian, and dives cannot exceed 12 meters/40 feet. 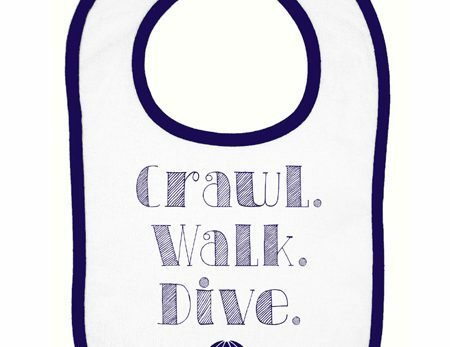 Divers 12-14 years old must dive with a certified adult and dives cannot exceed 18 meters / 60 feet. After receiving a junior open water certification, young divers twelve and older may continue to increase their experience and certification levels (see list below). 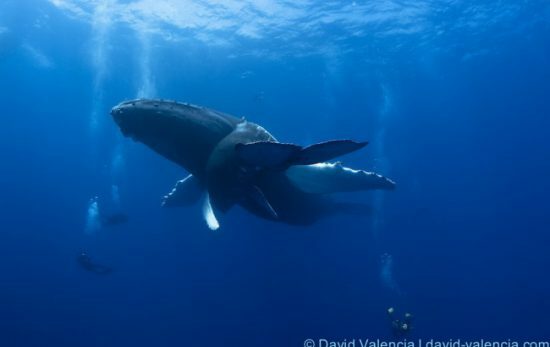 In these courses, dives may reach a max depth of 21 meters / 70 feet. Contact your local PADI Dive Shop to register for any of the programs above. If your child participates in the Boy Scouts of America or Scouts Canada, inquire about merit badge / award opportunities. If you have an ocean-loving family, Kids Sea Camp is a great way for all your family fishes to spend an unforgettable week. Check out the video from PADI Staffer and proud dad David Espinosa of his daughter’s first scuba experience. This was filmed at Kids Sea Camp in Bonaire at Buddy Dive. 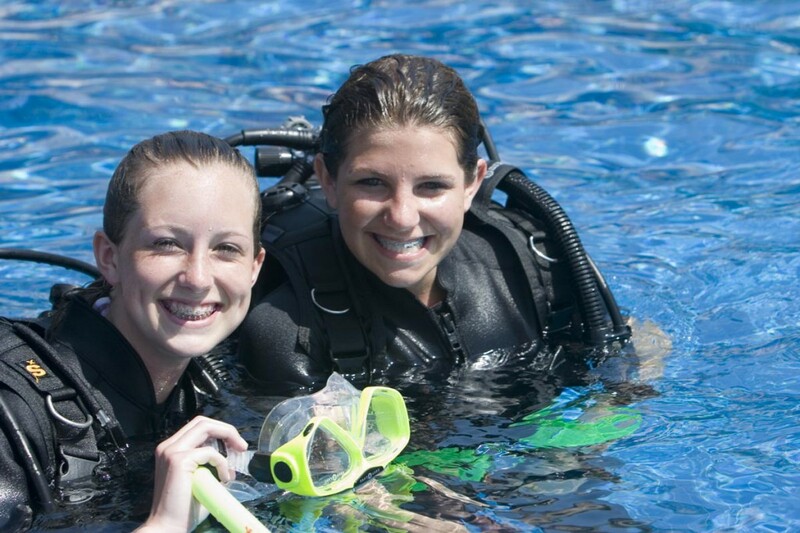 For more information about scuba diving lessons for kids – read our Youth Programs on PADI.com. 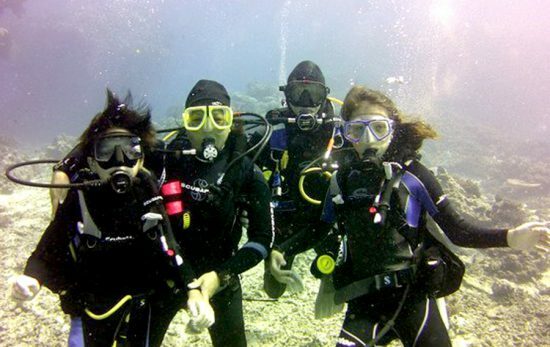 Ready to book a family scuba diving holiday of your dreams? Contact a PADI Travel representative, and we’ll help you pick out the best destination for your kids to learn to dive.